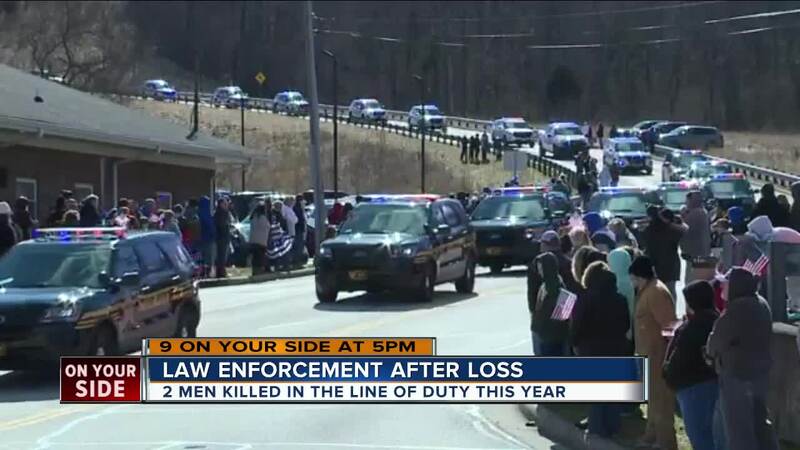 Two local law enforcement officers have been killed in the line of duty this year. COLERAIN TOWNSHIP, Ohio — Police chaplain Jim Love went straight back to work the Monday after a crash sent one of his colleagues, Officer Dale Woods, to intensive care. So did the rest of his department. For the next three days, as Woods’ condition grew more severe, they woke up each morning and went back to the office, the courts and the streets. They did the same thing the morning after his death. Greater Cincinnati’s law enforcement agencies had lost two members in as many months by Tuesday night. On Feb. 2, Clermont County Det. Bill Brewer was shot to death while responding to a nonexistent burglary that became a standoff with the increasingly paranoid Pierce Township man who had called police. He tries to be part of their support system and to help them engage with their difficult feelings, even when the most comfortable thing to do is push them out of mind.